Developing a security guard resume objective can be tricky. These sample resume objective statements will show you how to write an objective that quickly convinces the employer of your suitability for the job. What is a security guard resume objective? 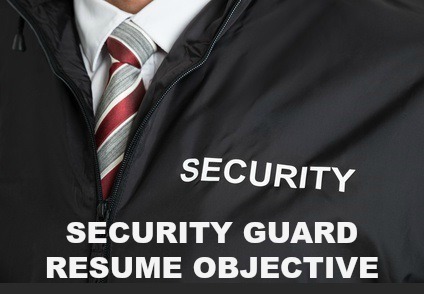 Resume objectives are clear and concise statements that highlight your career goals and persuasively summarize the skills and experience you bring to the security guard job opportunity. General formats for writing a resume objective range from 1 or 2 lines outlining your own goals such as, "Seeking a security guard position in a commercial environment where I can utilize my extensive experience", to a more detailed description of the relevant skills that make you a good candidate for the security guard job. Your objective statement should quickly persuade the reader to carefully consider your application. The single line, candidate-focused resume objective is weak and does not add anything meaningful to your resume. 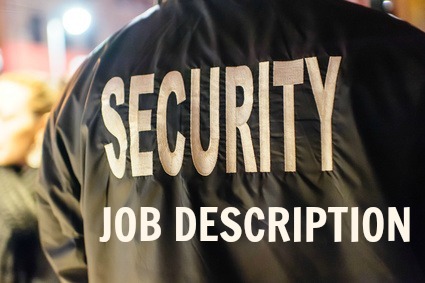 An impressive objective statement is one that is expanded to provide a powerful picture of what you can contribute to the specific security guard job opportunity. This type of resume objective is also known as a personal summary, a profile statement, a skills summary and objective statement. Your objective statement should clearly highlight your major areas of competence and provide immediate confirmation that you are the right job candidate. Always customize your resume objective to the security position you are applying for. Present your skills and strengths as they meet the demands of the job. You only have one opportunity to grab the reader's attention - make it count. You can present your resume objective in bullet point format or paragraph format. An enthusiastic and fit security professional with an excellent track record of complying with the highest workplace standards in terms of attendance, presentation and conduct. Energetic security guard looking for a new challenge with DTT Security. Over X years reliable experience guarding residential and commercial premises including patrol duties, access control, handling emergencies, operating security systems, conducting investigative procedures and writing detailed incident reports. Proven track record of anticipating, preventing and solving problems to provide an outstanding level of security to personnel and property. These sample resume objective phrases can be used to build your own powerful objective statements. They clearly demonstrate the typical skills and competencies employers look for in security guards. Energetic security guard with a proven track record of ensuring strict compliance with regulations to safeguard people and property. Able to anticipate, identify and handle problems and take appropriate action quickly and effectively. Efficiently trained in arrest and investigative procedures. 5 years trustworthy service protecting and safeguarding site personnel and property. Excellent knowledge of different residential and commercial security systems and equipment. Strong track record of effectively handling emergency situations, accidents and threats. Able to maintain composure and control in high pressure situations. Proven record of preventing theft and minimizing losses and vandalism. Solid experience in handling access operations, dealing professionally with the public and successfully diffusing conflict situations. Sound knowledge of state and federal regulations regarding law enforcement. Skilled in risk management and safety implementation. 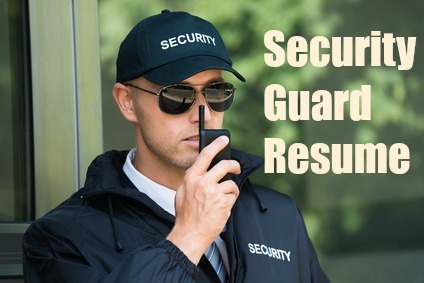 This comprehensive security guard job description will help you to write a convincing and complete resume.